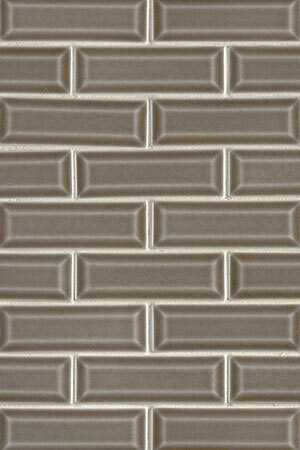 Warm, rich, and elegant, this tile backsplash design uses our Artisan Taupe Beveled tiles. The 2x6 dimensions and the dramatic beveled edges lend a sophisticated and elegant feel to any space. The tone is one that complements a wide range of natural stone slabs and floor tiles to complete an inspired backsplash kitchen design that will highlight the beauty of individual design features.